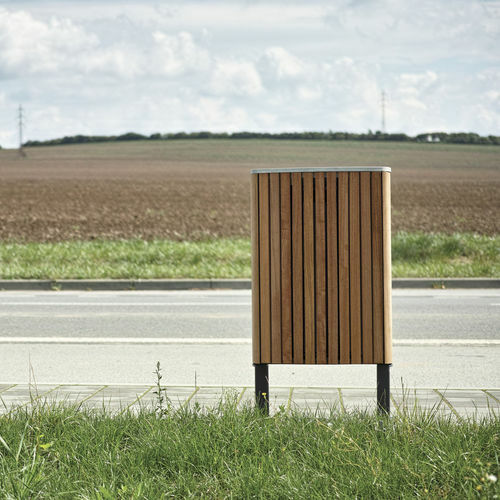 Public spaces > Urban furniture > mmcité 1 a.s.
MINIUM by David Karasek mmcité 1 a.s. 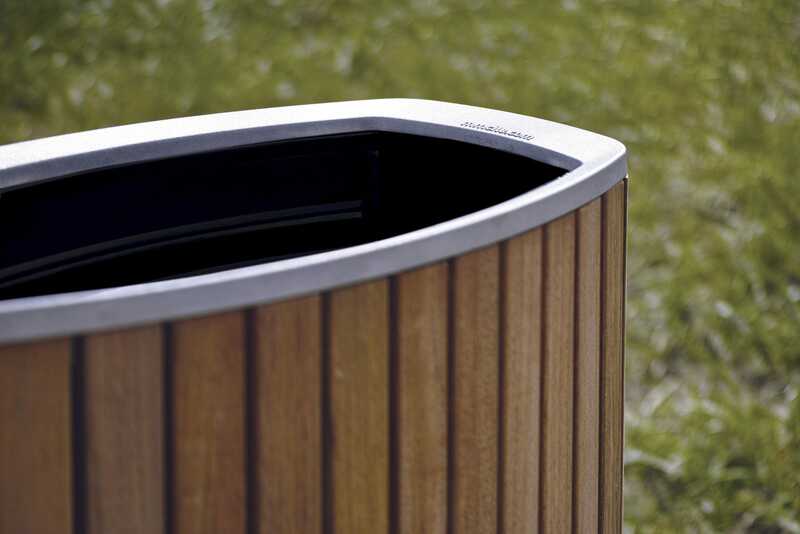 Smooth, slightly wavelike surface of almond-shaped structure brings a classy aesthetics even to the range of litter bins. 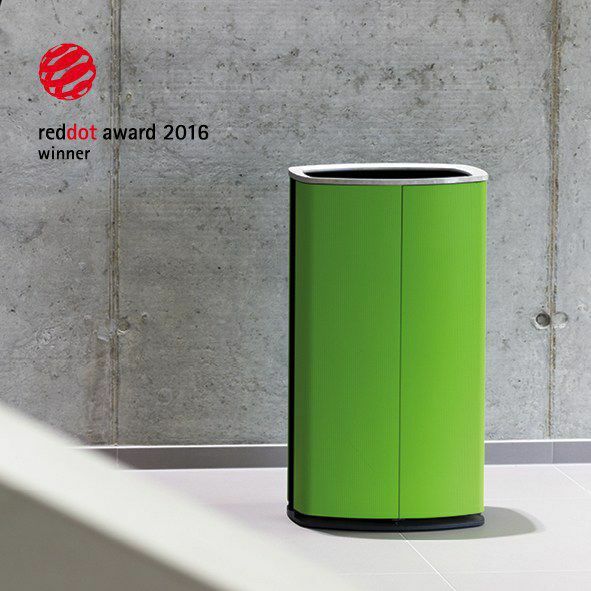 High quality materials and sophisticated details predestine the Minium litter bin to be used in public realms as well as in all types of public interiors. The bin is offered in several versions – lapidary leg to be in-ground mounted, a pair of interestingly shaped legs to be ground mounted, prolonged version with minimized pedestal and others. Optionally,cover to all versions. 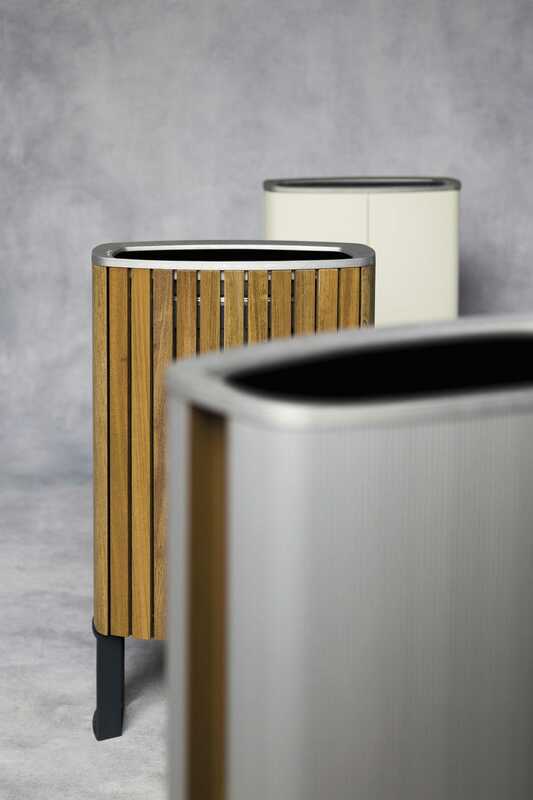 Sheathing made of anodised aluminium profiles, upper frame and cover of cast aluminium alloy. Main structure treated with zinc and powder coating. 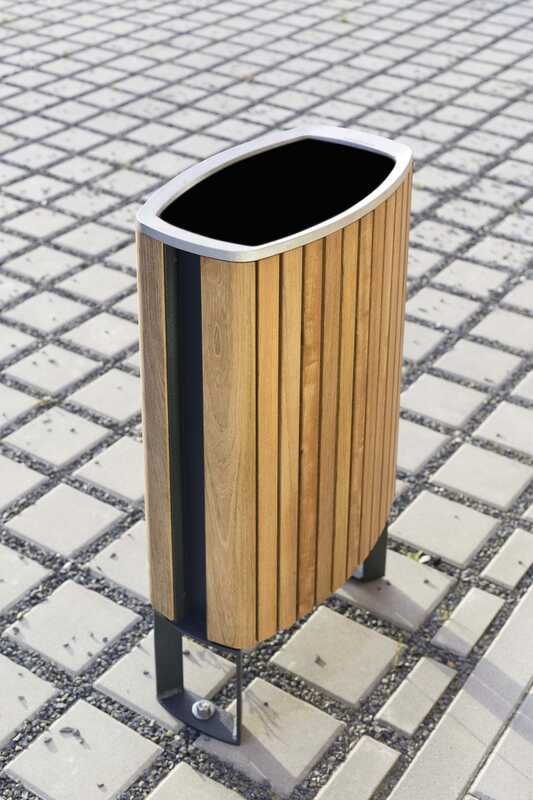 Liner made of zinc coated steel sheet.